You could end up paying twice as much to insure your car by choosing one insurer over another, yet the quality of your cover wouldn’t come close to being twice as good. According to a case study conducted by interest.co.nz, the cost of car insurance varies far more significantly between insurance brands, than the quality of cover. While there is some correlation between cost and quality at the most extreme ends of the spectrum, what you pay for insurance doesn’t always reflect what you get. Interest.co.nz has drawn this conclusion by creating eight profiles, and getting comprehensive car quotes from 13 insurance brands for these in January. We have then summarised policies and put them in a table alongside each other. You can see our findings here. As was the case when we conducted the same experiment in January 2016, we found policies underwritten by IAG to generally be cheaper than those underwritten by Vero (owned by Suncorp). Tower sat somewhere in between. It is worth noting IAG has a 46% share of the private and commercial general insurance market, Vero (including its joint ownership of AA Insurance) has a 25% share and Tower a 5% share. We wanted to include IAG’s NZI in the study, but it said it couldn’t provide quotes due to its products being sold by brokers and thus having variable pricing. The inclusion of Youi is problematic as it takes a multitude of factors into consideration that other insurers don’t when formulating premiums. For example, it asks about marital status, charging divorced and single people around 20% more for car insurance than married people. While we used profiles of reliable-sounding people in this study, premiums could vary significantly by changing seemingly minute details. Insurance brands may also be ranked quite differently if a larger sample size was used. Another factor skewing our study is that all quotes were taken using the same central Auckland address. It is possible for one insurer to view this area as relatively higher or lower risk than another, thus affecting pricing. Finally, not all insurers allowed cars to be insured for the same values. We tried to keep the values the same as those we used in our 2016 study, so they could be compared, however in many instances insurers only allowed cars to be insured for depreciated values. While it is impossible to compare like to like in such an exercise, it is valuable in demonstrating the extent to which premiums can vary across insurance brands - even if they are underwritten by the same company. Pulling out an individual quote as an example, the 30-year-old we used in our study would pay an annual premium of $1,655 to insure their $21,000 2013 Toyota Corolla through the most expensive brand - ANZ - and only $907 through the cheapest brand - State. Across the eight profiles, ANZ was a whopping 88% more expensive than State and 81% more expensive than Westpac. Meanwhile Vero was 73% more costly than State and 66% pricier than Westpac. The brands in the cheaper half of the spectrum were more similar in price than the brands in the costlier half. While the quality of ANZ and Vero’s cover is better than that of State’s, the question is whether the extra cover is worth the cost. Across the board, all brands cover the core components of comprehensive car insurance to a similar level. The thing that sets some policies apart is that they include less essential benefits that other insurers exclude or might give you the option of paying extra for. Vero and NZI’s comprehensive car insurance products (which are sold through brokers), as well as ANZ’s, stand out as having particularly decent levels of cover, as well as most of the bells and whistles. State and AMI are the cheapest brands, offering simplistic cover, but giving you the option of buying additional benefits. The reason AMI is seventh on the cost-effectiveness list, is that its default position is to exclude under 25s from its policies, but in this study we ensured an under 25-year-old was covered, in line with other policies. Yet if this young person was excluded, the premiums for AMI would’ve been around 22% less, making it even cheaper than State. The other two brands that offer relatively weak cover, but for slightly more, are Trade Me Insurance and AA Insurance. The remaining brands offer similar levels of cover, despite the benefits being in different areas. Ultimately, it is difficult to rank policies in terms of cover quality, as it largely depends on the value one places on different benefits. 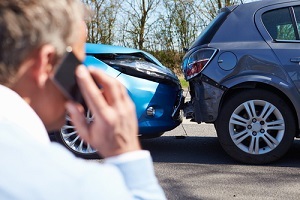 With this in mind, here are a few factors to consider when comparing insurance policies. As alluded to above, some insurers, including AMI, ANZ, Tower, Vero and Westpac, give you the option of paying a lower premium to exclude under 25s from your policy. Depending on your circumstances, having the option could be a real money saver. All insurers have updated their policies in recent years following the introduction of legislation that enables New Zealand courts to award reparations to cover an injured person’s losses that aren’t covered by ACC. In other words, if you cause a car crash that injures the driver of another car to the extent they can’t go back to work, you could be liable for paying the difference between the income they would usually have earnt during this time, and what ACC covers. ACC covers 80% of pre-accident earnings, so you could be responsible for reimbursing the injured person for the remainder 20% as well as potential pay increases they were expected to receive. The reality is that if you injure a young person and/or high-income earner, you could be liable for a huge amount of money. While most insurers in the study provide $1 million of cover for this bodily injury component of legal liability, AA Insurance provides $250,000 of cover, while Trade Me Insurance and Westpac only provide $100,000. MinterEllisonRuddWatts partner, Andrew Horne, notes the Sentencing Amendment Act 2014 hasn’t been around for long enough for it to be extensively tested, and for it to be seen how the level of insurance one has might affect the level of reparation a judge awards, yet in his view $100,000 isn’t enough cover. Horne notes that while the likelihood of you being required to pay hefty reparations is low, the consequences of not being adequately insured could be massive. If something happens to your car that makes it uneconomic to repair, your insurer will either pay you an amount you agree your car is worth when you take out your policy, or its market value. AA Insurance, AMI, AMP Everyday Online, ANZ, Trade Me Insurance, Warehouse Money and Youi stand out as enabling you to choose how much you insure your car for. This is a positive. However the cheaper brands underwritten by IAG don’t make it clear whether you’ll be paid the agreed or market value if your car is a total loss. Under State, ASB and BNZ’s policies, you will only be paid the market value up to the sum insured if the car “was not in a good and well maintained condition” when the loss happened in the insurer’s “opinion”. What this means is that you could pay more to insure your car for a certain amount, only for the insurer to offer you a lesser market value if its “opinion” is that your car wasn’t in good shape. Meanwhile IAG’s other cost-effective brand - Westpac - will only pay the lesser of the market and agreed values. Ambiguity and uncertainty are negatives when it comes to insurance. While NZI and Vero require you to insure it for the market value, you at least have some certainty around what you are covered for. There are a number of other benefits that some insurance brands include in their policies, others don’t, and others make optional. While it is up to you to decide how important these are, we believe key and lock replacement is a useful one to ensure is included. Cheaper brands, AMI and Trade Me Insurance, don’t provide any cover for this. The limits and excess exemptions offered by the other brands vary. Excess-free broken glass replacement is another useful benefit. This is covered by ANZ, ASB, BNZ, NZI, Vero and Westpac. It isn’t covered by Youi, and is optional under the other policies. Roadside assistance, covered by NZI, Vero and Youi, as well as rental car hire following an insured loss, covered by AMP Everyday Online, NZI, Tower, Warehouse Money, Westpac and Youi, could be useful. Cover for medical costs is a rather insignificant benefit. The amount of cover available is only in the hundreds of dollars and will only pay for what ACC won’t. A pay out in the thousands of dollars if you or a member of your family dies or loses one of your limbs or eyesight, is arguably another insignificant benefit - especially in relation to the gravity of such an event occurring. Once again, it is up to you to decide whether you really need these benefits and whether they are worth the cost. We believe it is a good idea to look through what’s covered by different insurance policies, and get quotes for the ones that most suit what you’re after. You don’t always get what you pay for, so should shop around. See a summary of what’s covered by different polices here. See this story on how premiums have increased by 20% between interest.co.nz's 2016 and 2018 studies. Petrol has less tax/is cheaper in Australia, I presumed because the registration was higher. If Youi is an insurance company then my uncle is a Nigerian prince. ... how the hell did these numpties qualify for a business licence in New Zealand ! just got my new premiums for house and contents and a massive increase on last year, way way above inflation. Mine has risen 16% in total - breakdown is premium up 14%, fire service levy up 40%, EQ cover up 33%, GST up 16%. Inflation !! What inflation !